High purity auto glasswash detergent. A high purity, non-foaming detergent suitable for use in all recognised types of enclosed automatic glasswashing machines. 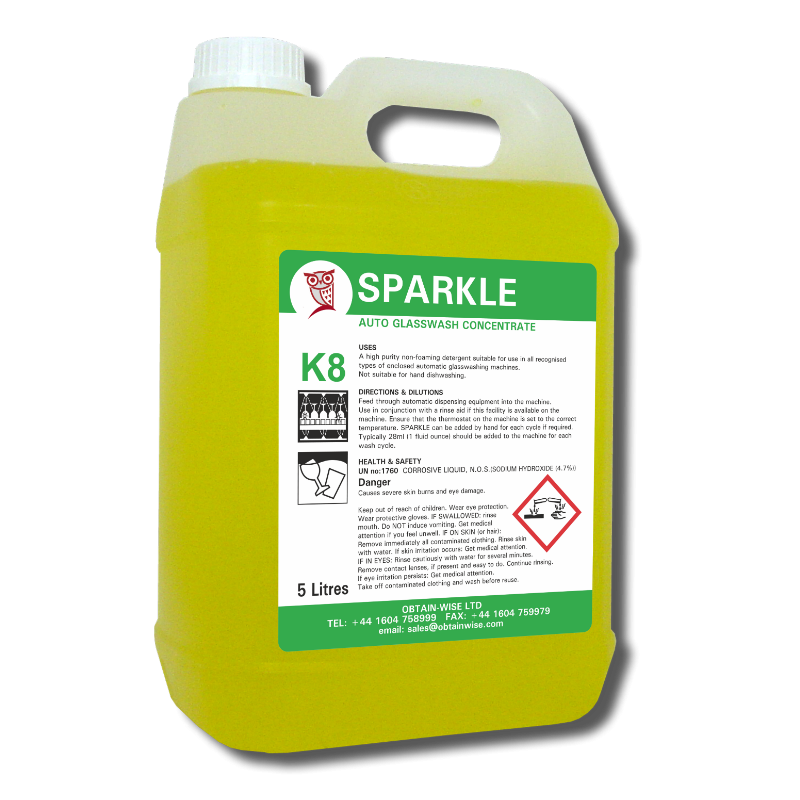 Sparkle will remove stubborn stains to leave a bright finish in both hard and soft water areas.